Sometimes the math doesn’t work out. The ancient Egyptians discovered that their calendar didn’t always jibe with the solar system. It seems the sun moved according to its own timetable. It meandered on its circular way, unmindful of the havoc it was wreaking with calendar life here on planet earth, taking 365 days, 5 hours, 48 minutes – well, you get the picture. Those pesky solar systems…. But back to our topic. Free time. Even the words are beautiful. Free time. Time to spend with family or finally read that latest business book or novel. Time to do something crazy with friends. Time to wash the dog or paint that landscape you’ve been seeing in your mind’s eye. Time to take a long drive in the country or nap in the hammock. Time. The Greeks had two words for time, Chronos and Kairos. Chronos is the concept of linear time – what our clocks and watches measure. When we talk about time management, it is most often this concept we are discussing. Kairos is different. It deals with the quality of time. This is the concept we are referring to when we ask someone, “Did you have a good time?” There is an interesting dynamic at work here. Our struggles with Chronos are often aimed at having more Kairos. So what is the key to getting everything done? First, we must understand that we really do have all the time we need! William Penn said, “Time is what we want most, but what we use worst.” We often feel that we need more time, when the problem is that we just need to learn how to use our time more wisely. What are some ways that we don’t use time wisely? Perhaps we don’t plan well, so we have to go back to the store again. Or back to the office to retrieve something we left. Or we neglect to write it down, so we buy the wrong size, or brand, or color. We may listen to too much radio, and watch too much TV. It has been estimated that the average American sees or hears over 500 ads a day! Perhaps we don’t eat right or exercise enough, so we are always tired. The list could go on. We must understand that we have to control our time, rather than letting it control us. One key to this is prioritization. Prioritization is knowing how to rank the items which you have to do. A powerful tool to help in this area is to have some system in place. For me, making a “to do” list works wonders! When I am overwhelmed with things to do, it helps me to capture them all and put them in order. You can use paper, Outlook, Task-management software, your iPhone, whatever works best for you. The key is to find a system and use it consistently. Something about putting things in order and writing them down helps us to organize our thoughts. It calms us and helps us think more clearly. That makes the tasks seem a little more achievable. Begin your day with a list, and check off items as you accomplish them. A couple of pointers may help here. First, don’t overwhelm yourself with a list of things to do today that is so large you couldn’t finish if you had a week! Write all the tasks down, and then prioritize what must be done today. Once you’ve done that, rank them in order for that day. One of the most important keys is that all-important check mark! Looking at those checks by the items we complete gives us a sense of accomplishment and momentum! Another powerful tool is delegation. John D. Rockefeller said, “I would rather earn 1% off 100 people’s efforts than 100% of my own.” There is a lot of wisdom in that thought. Effective delegation is one of the most powerful time management and efficiency tools, and it is applicable to all of us, whether we are stay at home moms, volunteers, or corporate executives. Here, briefly, are some of the other tricks and tips for more effective time management. For the complete article with more great tips on effective time management, email us at terrydnewberry@bellsouth.net and request You Have All The Time You Need! No charge! This one’s on us. 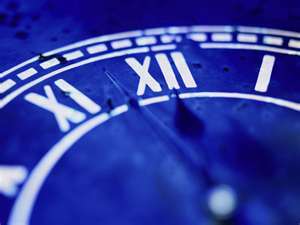 1) Plan ahead regarding how you spend your time. 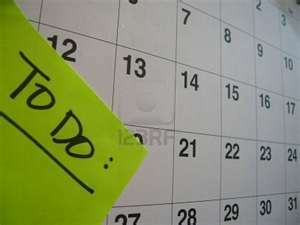 2) Make a “to-do” list. Prioritize the items on your list. Mark them off as they are completed, and reprioritize as new items come up. 3) Create routines for yourself. 5) Plan ahead for specific errands or trips. Have a purpose in mind for what you are doing, and know what your goal or outcome is. Coordinate your time. For instance, if the dry cleaner is on the way to the grocery store, plan to visit both on the same trip. 6) Schedule time for yourself. In our age of frantic activity, noise and distraction, it is more important than ever to have time alone to think, plan and reflect. 7) Set deadlines! Accomplishments are dreams with deadlines! Each of us has the same amount of minutes in each day. The difference is in how we use them! Remember, for the complete article with more great tips on effective time management, email us at terrydnewberry@bellsouth.net and request your free copy of You Have All The Time You Need! What 3 things can I do to improve how I use time? If you like this blog, please comment and forward to your friends! This entry was posted on Wednesday, February 29th, 2012 at 2:12 pm	and tagged with Ben Franklin, effectiveness, efficiency, iPhone, John Rockefeller, productivity, terry newberry, time management and posted in Uncategorized. You can follow any responses to this entry through the RSS 2.0 feed. « A Problem or a Predicament? Good stuff and very helpful! Following these tips will not only help save time but will also save money (grocery store and dry cleaners- same trip, less fuel), save stress (like working on the least priority only to find out there is not enough time to do the top priority, save face… I can think of several times I promised I would do something for someone only to realize that other things took precedent and I ended up breaking my promise. Thanks my bro! Good word!